Organising finance, purchasing land and building a new home is a complex and at times confusing process. While researching and planning to build a new home, you’ll likely come across quite a few unfamiliar terms that will leave you scratching your head. Here are some explanations for some of the most common terms you’ll encounter when building your first house. A pre-approval of finance is supplied by a lender or broker to indicate that a potential buyer’s credit is sufficient to make a purchase. A pre-approval of finance is also referred to as a letter or certificate of eligibility. Before purchasing property or land, it’s a great practice to get a pre-approval to provide assurance to your land seller or builder that you have the funds to make the purchase. Also known as an unconditional loan approval, a formal approval is awarded to a buyer when they have met all conditions set on the pre-approval. Once a formal approval of finances is granted, the sale of the land can go ahead. Drawdowns are invoices issued to lenders from builders at various stages of the build to receive a portion of the allocated funds during construction. One of the main reasons drawdowns exist is to not only protect the consumer but also ensure that the builder has access to funds to keep construction moving. While the settlement agent has a range of duties, their main operation is to complete a transaction between a buyer and seller. This involves transferring the property to the buyer’s name, and the money to the seller. Land developers buy land, subdivide it and improve it for resale. This includes connecting the land to utilities and roads, town planning and ensuring the land is ready for construction to begin. Local Development Plans (LDPs) were previously known as Detailed Area Plans (DAPs) until the name change in 2016. LDPs are created by local planning authorities on behalf of local councils to allocate land. This includes commercial land, residential land, where parks will be located, shopping centres, power, etc. As evidence of ownership, you will need to apply for a land title before construction begins. Land titles are given as either a certificate or deed indicating your legal right to ownership of land. Developers usually put in design guidelines to ensure local houses match a particular style or design. Design guidelines are usually put in place by new estates, so it’s important to understand what guidelines your new home will need to adhere to if you purchase a lot of land there. Once you have sorted your finances and purchased your land, it’s now time to start constructing your new home. Here are terms that are used to explain which stage of construction your home has reached. Before laying down the plumbing and slab some earthworks may be required. Earthworks involve use of either hand tools or machinery to move soil and rock ensuring that the land is suitable and level to begin construction. Once earthworks are completed, the plumbers can lay their pipes and the cement foundation slab can be poured. Once the brickwork and walls have reached the nominated height, it is known as plate height. 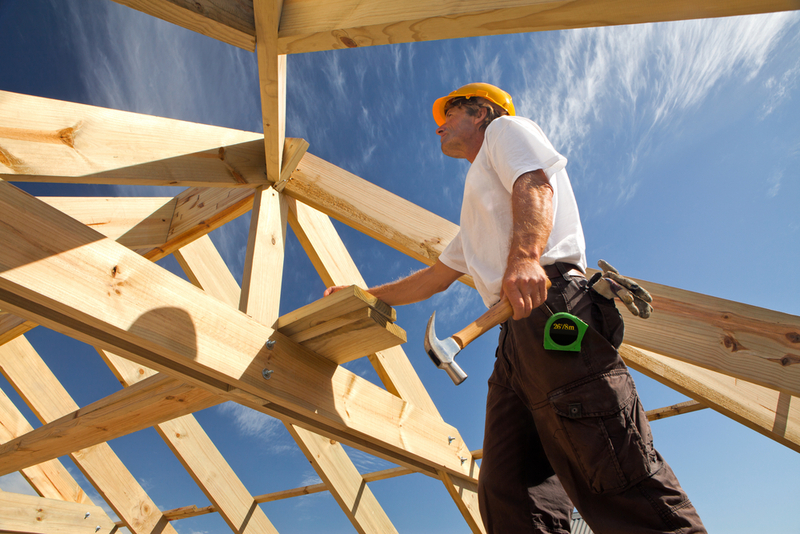 It’s an indication that it is time for roof carpentry tradesmen to come in and fit the roof to your home. You have reached lock up stage once all openings to the house are enclosed with windows and doors. This indicates that your house is ready to be inspected. The final stage you come across will be the practical completion which is also termed the key handover. You will do a final inspection with the building supervisor to ensure the building is up to your expectations and standard. We hope this short-list of terminology comes in handy when you’re in the process of applying for finance and building your first home. For more advice on building a new home take a look at these ways to save on a new build, 6 key considerations when building and how to select the right materials for your new home. Alex Hamilton is a blogger based in Perth, Western Australia. You can catch Alex on Google+. Understanding the building process in WA: What’s involved in building your new home?